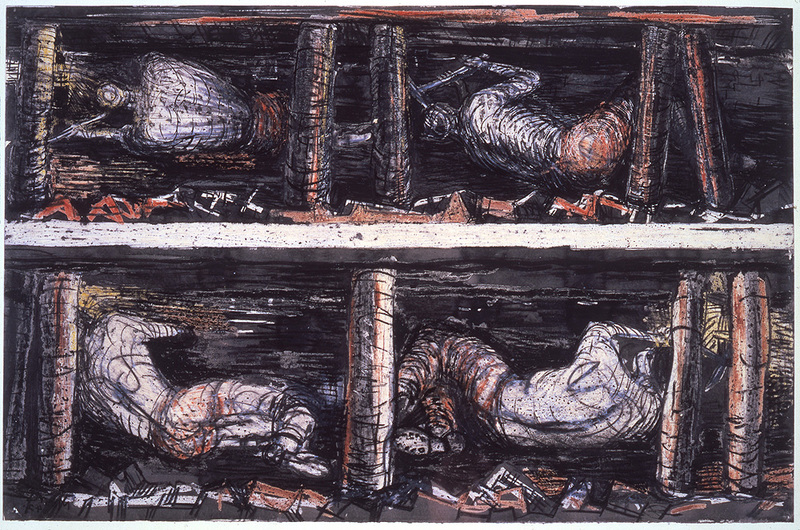 Henry Moore, Four Studies of Miners at the Coalface, 1942. Photo: The Henry Moore Foundation archive. 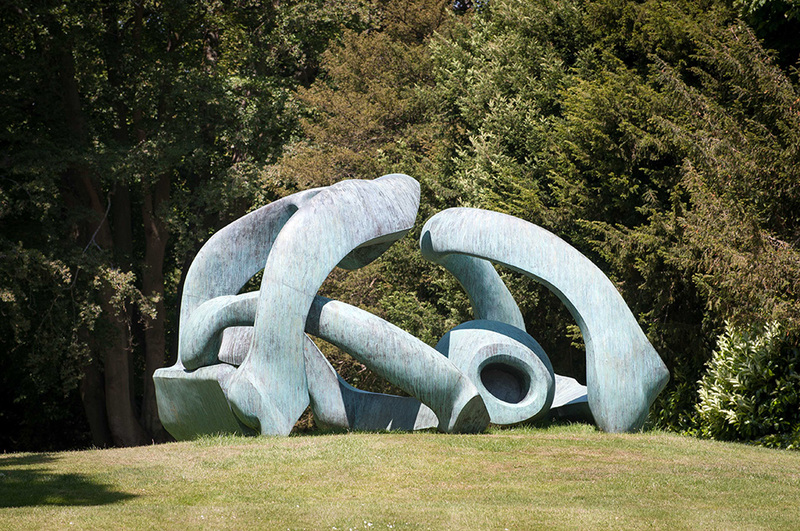 Reproduced by permission of The Henry Moore Foundation. The last of summer beckoned us over to Waddesdon Manor – a quick enough and largely traffic-free cycle ride from here even if it does involve a hill or two. It was the exhibition of 100 of Henry Moore’s drawings at the Coach House that attracted us (though there’s much more to Waddesdon Manor, if you have the time to go regularly). We’ve been trying to get over to see From Paper to Bronze all summer and felt it was this weekend or never, before the doors close on October 25. As so many of Moore’s monumental sculptures feature prominently in urban and accessible spaces, his name is associated with a recognisable style. What may be less well-known to those of us used to seeing his statues in parks, precincts and on university campuses was his ability as a draughtsman. On entering the exhibition you’re immediately struck by the serenity of the double sculpture King and Queen as they oversee the space with a quiet but imposing presence. Originally intended for an outdoor landscape, they also work well close-to – Moore paid meticulous attention to the delicate detail of the couple’s hands and feet and the view of their backs. For my part, I was particularly pleased to see an industrious spider had set up home in the King’s crown, lending him a benevolent air. The evolution of the man from youth to twilight years is expressed through his artistic eye. But for all the statues’ authority, it was the depth in the drawings on display that struck me most. Moore was an inveterate sketcher who produced thousands of such works, his output varying in quantity and quality according to his age and purpose. The evolution of the man, from directed youth to influenced young scholar, to innovative master, before he settled into the unchallenging sketches of his twilight years, is expressed through his artistic eye. The exhibition’s set-up along a timeline gave it a palpable wistfulness, I felt. Through the drawings I could trace the vigour of youth, the confidence of middle years and the decline into decrepitude (Moore suffered arthritis in old age). His work reflected his moods, from love and admiration through despair and anguish to hope and on to acceptance. 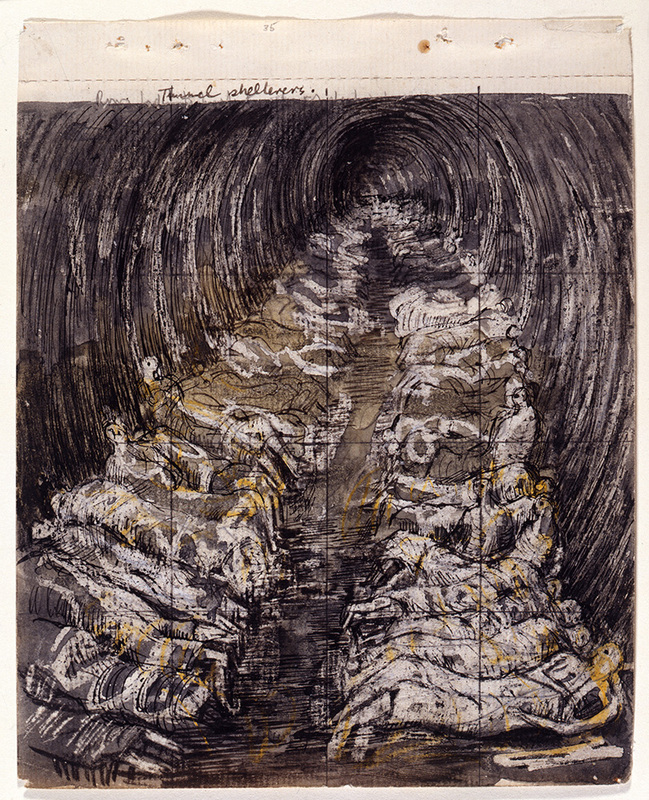 Most striking for me were the designs commissioned for textiles and the drawings he made during his period as a war artist, recording the extraordinary nightly scenes in the London Underground and in the coal mining pits of Yorkshire. Maybe the autumn winds and angle of the sunlight lent the gallery a melancholic mood that day, but I was left with an impression of a way of life lost and wondered what today’s artists, viewed in 30 years’ time, will have left the next generation, either in the way of monumental art, teaching foundations or pure visual pleasure. If you can’t get along to Waddesdon it’s worth a trip to the Yorkshire Sculpture Park which Moore helped to found or a visit to the Henry Moore Studios in Hertfordshire. From Paper to Bronze runs until October 25, after which the manor adopts its Halloween programme over the half-term holiday. It dons its annual winter festival lights and looking forward to Christmas and this year’s Bruce Munro installation. *After checking in at the new visitors’ car park cyclists can pedal all the way to the top of the hill and use the cycle racks in the staff car park. It’s well worth the extra effort for the views across Aylesbury Vale and beyond and the thrill of the return journey down the other side of the hill.